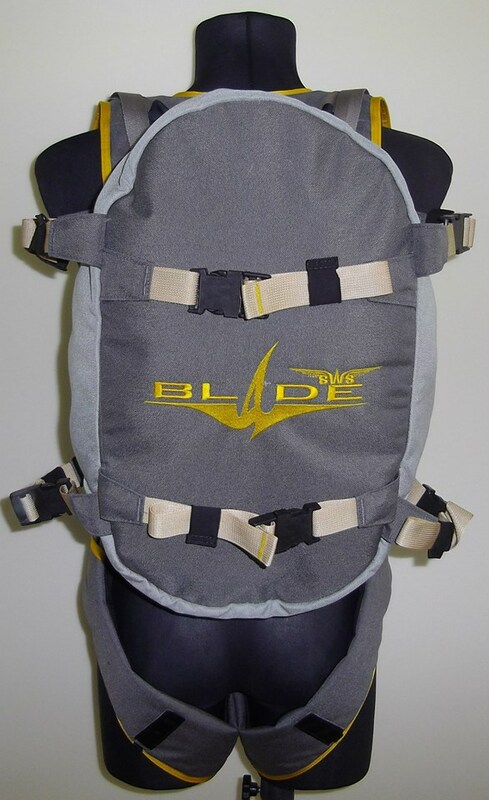 SWS Company has been manufacturing Blade System for speedgliding\GL since 2005. 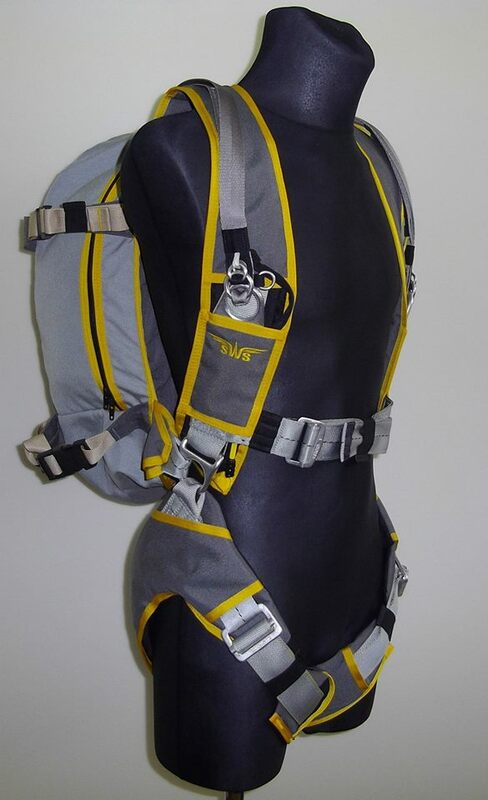 The feature of the system, comparing to other manufacturers, is the fact that the system is designed and manufactured according to rules and standards of the parachute gear manufacturing; and is made of appropriate materials baswd on appropriate technologies. 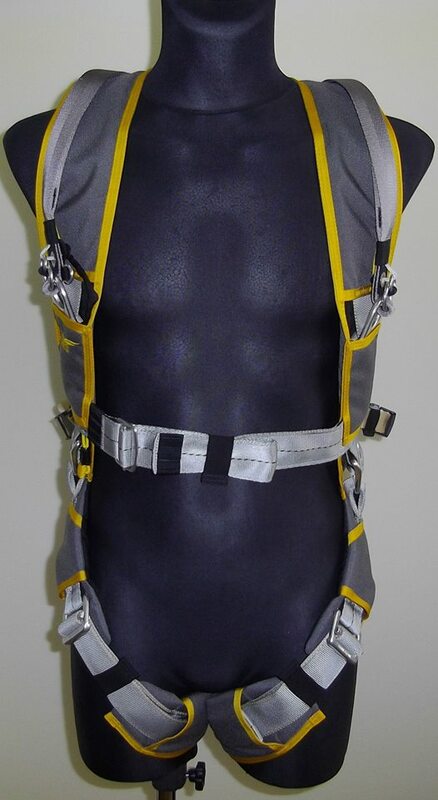 Also the basic feature is the sitting in the harness system. 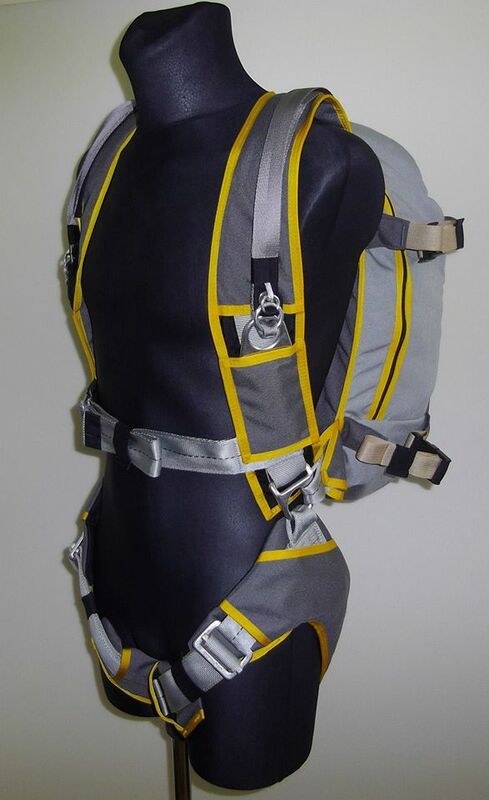 Unlike the hanggliding or paragliding systems, where a pilot actually is lying in the harness being hang by his hips (and in case of accidental landing the first spot of contact will be his tailbone), and unlike skydiving containers (which are uncomfortable from start) Blade System has the points of suspension at the ribs which provides both comfortable start and comfortable position for piloting. 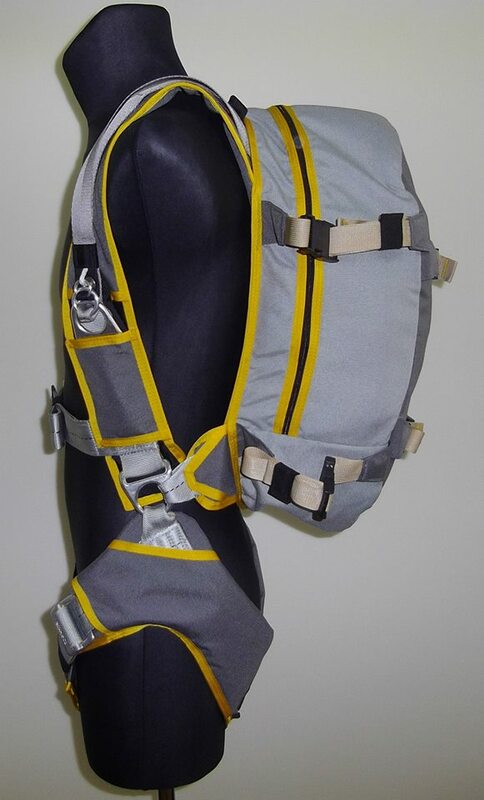 There are tapes on the container that allow squeezing the container after the canopy is packed in to provide comfort at transportation, and its’ surface is equipped with a pocket for a skipass.